Sunny. High 73F. Winds SSW at 5 to 10 mph..
ATWATER VILLAGE — After undergoing what appears to be an extensive makeover, Club Tee Gee, a neighborhood fixture since 1946, is preparing to show off its new look to customers. In fact, one person said the remodeled watering hole could be ready for its public debut as soon as this week. The dive-bar label may no longer apply to Club Tee Gee given new photos posted on Instagram. While the basic layout remains the same, the interior looks more plush and glossy. A row of windows once again look out upon Glendale Boulevard as they did in the bar’s early years, based on old photos. The storefront next door meanwhile has been renovated and is being described as a special event space. 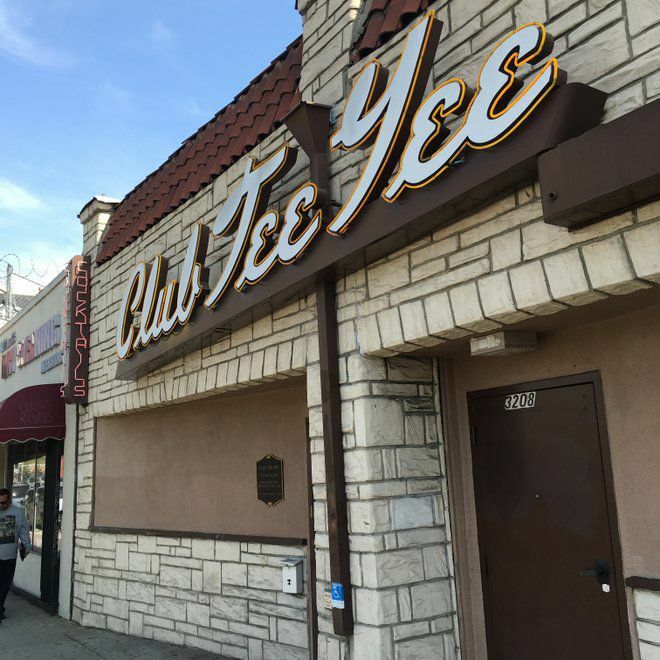 Club Tee Gee has been a neighborhood fixture since 1946 when the original owners, a pair of World War II veterans, opened the business. In recent years Club Tee Gee had been frequently described as one of L.A.’s classic dive bars, with drawings and images of Frank Sinatra and Betty Boop hanging on the walls. Is it Club Tee Gee or Club Tee Yee? The bar has been in flux since long-time owner, Betty Bartlotta, died in February 2016. The L.A. Weekly later reported that Club Tee Gee had been purchased by the owners of The Short Stop Bar in Echo Park. Online state alcohol records show that Afghan Whigs member Greg Dulli as an officer in the companies that own Club Tee Gee and The Short Stop. Update: Bar manager Nico X. Ortega said Club Tee Gee will reopen on Wednesday, Nov. 14 at 4 pm. The adjoining room will open in about a month on Friday and Saturday nights and for special events. He said the owners conducted a lot of research into the bar’s past to restore earlier features, such as the wood windows and doors.